The Athletic, the venture capital-backed digital sports media venture that’s plundering sportswriters from news organizations all over the country and has said it wants to brutally kill newspapers, finally announced on Monday that it is turning its gaze to Washington, D.C. The company’s voracious recruiting, however, hasn’t yet yielded the flock of sportswriters that it has in other cities. That isn’t for want of trying. A variety of reporters at the Washington Post and in the D.C. area, who spoke to Deadspin about The Athletic’s efforts, described a failure to execute an audacious plan to pillage one of the last good sports desks at an American newspaper (even as the newsroom within which that desk is situated goes to war with its cartoon plutocrat owner), an inability to entice other notable reporters with roots in the area, and a failure to either notice or care that a ready-made operation with deep local connections was right there, ready to be absorbed. The end result is that The Athletic’s entrance into the nation’s capital, one of the biggest sports markets in the country, has stalled before it even started. What that means for the narrative of triumphant inevitability, which has been The Athletic’s strongest selling point both to the public and to its investors, is nothing good. No doubt, D.C. is a competitive media market, we are not naive to that fact. But one advantage we do have is that our newsroom of hundreds of local and national writers spans all of North America, and all of that coverage can be accessed in one place, with one subscription. So we think that bundle of coverage is unrivaled, and our success in other big markets like the Bay Area and New York is a testament to that advantage. There is little to celebrate. The Post, perhaps more than at any time in recent memory, approached bargaining with an aggressive posture and an unwillingness to compromise on almost every single topic. The best we can say is that the Guild fought off several proposals that would have made your life here much worse. It’s also clear after two contract cycles under owner Jeff Bezos that even as the Post thrives, the working conditions and financial well-being of its employees will likely be-come worse — unless you act now. You may be working in a cool, new building. You may be surrounded by many new colleagues in a seemingly ever-expanding newsroom. You may be drinking free coffee. But on issues that truly matter — your job security, your retirement benefits, your working conditions and your ability to balance career with family and personal life — you are not going to like what’s coming, if these past contract talks are any guide. Unless we can persuade more of our colleagues to join the union and — this is key — become more united and vocal in our demands for change, you will lose ground and fall further behind peers who work for competitors such as The New York Times. Despite the threadbare contracts and Bezos’s alarming corporate posture, the editorial strength of the Washington Post has so far been enough to keep writers from defecting when The Athletic came calling. But it’s not just Post writers the Athletic is having trouble hiring. The Athletic has struck out trying to hire others, including Associated Press hockey writer Steve Whyno and former Post and current Chicago Tribune reporter Rich Campbell, according to D.C.-area sportswriters. Per Deadspin’s sources, some reporters approached by The Athletic thought that the company didn’t fully understand the dynamics of the market when it began recruiting. Several were worried that the public wouldn’t pay for The Athletic at all when so many already subscribed to the Post, which has robust local and national coverage. So far, The Athletic DC hasn’t officially announced any hires, but according to a report from Russian Machine Never Breaks and a not-so cryptic tweet from Tarik El-Bashir, who most recently covered the Washington Capitals for NBC Sports Washington, he will be joining the team. Other names that have made their way through the D.C. sports gossip mill as possible Athletic hires include Rhiannon Walker of ESPN’s The Undefeated, Chicago Tribune reporter Chris Kuc, and NBA.com editorial head Greg Lee (who last year slammed The Athletic on Twitter for their lack of diversity). When reached, Walker, Kuc, and Lee declined to comment. A text message to El-Bashir was not answered. These potential hires would represent a departure from the Athletic’s usual strategy of hiring reporters who have already built huge followings covering teams in their city. Kuc has covered the Blackhawks since 2007, and as such his following is mostly in Chicago; Walker is an associate editor at ESPN’s The Undefeated, where she covers general sports news, rather than a specific team. El-Bashir is the only one of these hires who’s a D.C. beat reporter with a local following. But with the Post’s roster of sports reporters apparently not budging—and likely having leveraged offers for tidy raises—The Athletic has had to get creative. There’s one option, however, they seem to be studiously avoiding. Though hiring Dybas, Standig, or McNally wouldn’t give The Athletic the PR splash that swiping a Post reporter would, all three have sizable Twitter followings (McNally has the most with nearly 20,000 followers), which the Athletic prizes dearly, and connections in the D.C. sports world. The fit with The Athletic looked like a natural one, and especially after being ultimately turned down by so many other reporters, it seemed inevitable that The Athletic would come calling at The Sports Capitol. So far, it hasn’t. We know there is intense competition in the market. We have known for weeks more is coming soon. That doesn’t bother us. We welcome it because we believe in this model completely. ... We are David competing with corporate Goliaths and will continue to punch above our weight. We have to take that insurgent approach given the resources our competition has and will have in the future. But no grassroots effort succeeds without help from the masses, fellow dreamers. 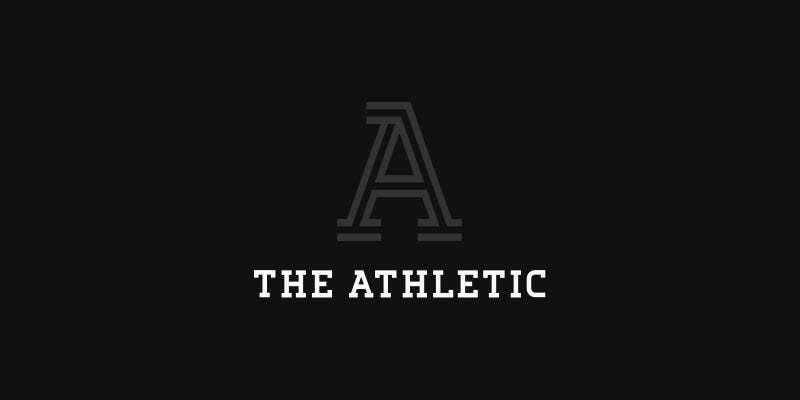 The Athletic is either a force that’s going to change sports media forever, or, perhaps more likely, a racket perpetuated by excitable venture capital dudes who are going after an artificially inflated valuation by paying top dollar for mediocre-to-good beat reporters whose followings are largely a function of their previously existing platforms, and by making attention-grabbing hires of sportswriting relics of the 1990s. One less than ideal rollout probably won’t alter The Athletic’s overall trajectory. Even if it doesn’t hurt in the long run, though, a failure to establish itself in Washington, D.C.—home to the Stanley Cup champions; one of the best players in baseball; a football team that’s a constant source of fascination even, and probably thanks to, its clownishness; the Wizards, who exist; and the Georgetown Hoyas, who also exist—would be, if nothing else, a bit of an embarrassment for a company that sees itself, or at least wants to be seen, as the Spotify or Netflix of sports media.